Checking the forecast the previous night suggested a marked drop in overnight temperature with no wind. This combination can lead to early morning mist which can be accentuated by finding some higher ground. 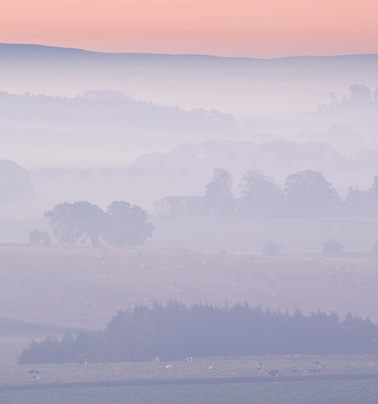 here the undulating farm landscape was enhanced by the mist to reveal a succession of layers.